Mao Zedong announces Chinese People’s Republic on this day in the year 1931. Cargo ship Mary Celeste which sails from Staten Island for Genoa; mysteriously found abandoned four weeks later on this day in 1872. Ensisheim Meteorite strikes a wheat field near the village of Ensisheim in Alsace, France in the year 1492, which is the Oldest meteorite. China objects Sitharaman visit to Arunachal Pradesh. Railways launches the main arch on world’s highest bridge on Chenab. SHe-Box to take-up complaints of sexual harassment at private offices. Sushma Swaraj holds bilateral talks with Guinea’s foreign minister. Afghanistan will not block WhatsApp and Telegram says the spokesman. Chinese team in Nepal for talks on rail links. Broadcom may acquire Qualcomm in the biggest tech deal ever. Swedish company eyes aircraft plant in India. RCom sells DTH arm to Veecon. Everstone to buy Kenstar from Videocon arm. 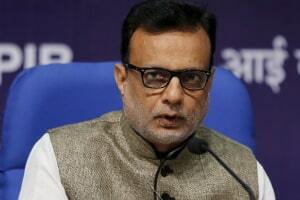 Revenue secretary Hasmukh Adhia takes the appointment as finance secretary. China successfully launches two navigation satellites. Isro plans to scale up outsourcing, double satellite launches. West Ham United sack their manager Slaven Bilic. Chhetri’s strike nominated for 2017 AFC Cup Goal of the Tournament. Murray and Djokovic fall out of ATP Top 10 rankings. Sitharaman visit to Arunachal Pradesh is objected by China. China objected the defence minister Nirmala Sitharaman first visit to Arunachal Pradesh. China says her tour of the disputed area is not conducive to the peace and tranquillity in the region. The China claims Arunachal Pradesh as part of South Tibet and routinely objects the top Indian officials visit to that area. The Line of Actual Control (LAC) between India and China stretches to 3,488 kms. The Indian Railways launches the main arch of the world’s highest bridge on the River Chenab in Jammu and Kashmir. The iconic bridge will soar 359 metres above the bed of the River Chenab and will be 30 metres higher than the iconic Eiffel Tower in Paris. The bridge forms the crucial link in the 111-km stretch between Katra and Banihal which is part of the Udhampur- Srinagar-Baramulla section of the Kashmir Railway project. The women and child development ministry is all set to expand its online complaint system for cases of sexual harassment at the workplace to non-governmental organisations. The online complaint management system called Sexual Harassment electronic-Box (SHe-Box) took launch in July. It took launch for registering complaints related to sexual harassment at workplace. External Affairs Minister Sushma Swaraj had talks with the Foreign Minister of Guinea, Mamadi Toure, over a broad range of issues. Mr Toure met his Indian counterpart and the two expressed happiness over the cordial and friendly relations between their countries. Mr Toure appreciated India’s support to his country’s economic development. The Afghan government will not block the instant messaging services WhatsApp and Telegram, a spokesman said on Monday. Javid Faisal, deputy spokesman says the Government of Afghanistan isn’t going to ban any social media platforms. A high-level Chinese team arrived in Kathmandu for talks with Nepalese authorities on the possibility of extending proposed cross-border railway link. The study carries out by a Chinese firm says the three railway lines will be built between China and Nepal with a total investment of about $4 billion. China’s efforts to build railway links to Nepal are part of its ambitious Belt and Road Initiative (BRI), a flagship project being pushed by President Xi Jinping. Communications chipmaker Broadcom Ltd is expected to soon unveil a bid for smartphone chip company Qualcomm Inc. The Broadcom-Qualcomm deal could be the biggest technology acquisition ever, which will be around $100 billion. The bid comes as Broadcom plans to move its headquarters to the United States from Singapore. Swedish firm Saab AB’s chairman Marcus Wallenberg met Indian government officials this week to explore the possibility of expanding aerospace collaboration. In the meeting, they had a discussion about the possibility of setting up a light aircraft manufacturing facility. The meeting is held between Saab AB chairman and science and technology minister of Andhra Pradesh YS Chowdary. Reliance Communications (RCom) inked a deal with little-known group Veecon for the sale of its direct-to-home (DTH) business run under the Reliance Digital TV brand. The move comes days after RCom announced plans to shut down its DTH subsidiary, Reliance Big TV, as its licence was due for renewal. Private equity (PE) firm Everstone Capital has agreed to buy the Kenstar brand of air coolers and home appliances from Century Appliances, an associate of the Videocon Group. Kenstar will be Everstone’s first acquisition this year. In April 2016, it had bought Hindustan Unilever’s bread and bakery business sold under the Modern brand. Hasmukh Adhia is a 1981 batch IAS officer of Gujarat cadre. The vacancy is left After Ashok Lavasa left last month there is a vacancy for that position. China has successfully launched two navigation satellites, taking another step in building its own global positioning network. The BeiDou-3 satellites were launched aboard a Long March-3B carrier rocket last night from Xichang Satellite Launch Center in the southwestern province of Sichuan. The two newly-launched satellites represent the third phase of the BeiDou Navigation Satellite System. The Indian Space Research Organisation (Isro) is planning to double the launch frequency of satellites. Mylswamy Annadurai, the director of Isro Satellite Centre (ISAC) said Isro now launches nine to 10 spacecraft built by it per year. West Ham United have sacked manager Slaven Bilic after they dropped into the relegation zone. 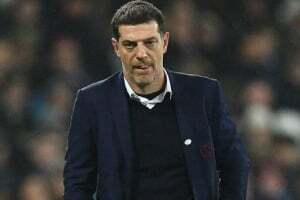 The Croatian replaced Sam Allardyce in June 2015 and led West Ham to a seventh-place finish in his first season. Former Everton, Manchester United and Sunderland manager David Moyes, who is currently out of work, has been strongly linked with the position. India captain Sunil Chhetri’s spectacular free-kick goal has been nominated as one of the four best goals in the AFC Cup tournament. Murray and Djokovic dropped outside the ATP top 10 for the first time in years in the latest rankings. The 30-year-old Murray plummeted from third to 16th after not playing since July with a hip injury. The 12-time Grand Slam winner Djokovic ends the year in 12th, down five places, for his lowest ranking since March 2007.